Archie Moore: Who’s Afraid of Indigenous Art? Published 13 June, 2014, Simon Marsh. …similarly we may ask the question, who is afraid of conceptual art? However, when we are met with a combination of both propositions, augmented by a third, then perhaps the more appropriate question to ask would seemingly be fashioned along the lines of – who is afraid of the relational aesthetics of conceptual indigenous artist Archie Moore? Perhaps not so surprisingly – in a country infected with social divisiveness, wedge politics, historical revisionism and an oligopolised media – quite a few! Unsparingly, since 1788, on an unprecedented level, Australia has been a country embroiled in an utterly disgraceful story of imperialism, exploitation, overt racism, eugenics and attempted genocide of its indigenous inhabitants. And yet to this day we witness the neo-liberal insistence through politically motivated, aggressively directed media campaigns, to wrest control of Australia’s past – to win back a glorified white history as a form of political and social resource – through an overt and monotone beige alignment with orchestrated understandings of Anglo-Saxon acts of heroic achievement [Macintyre, 2003, 1]. Against this pocked landscape of reprehensibility, one could say we are adequately positioned to view the oeuvre of the conceptually consummate artworks of Archie Moore. To be more precise, Moore’s oscillation between the formal qualities inherent in fluxus, seen as the insistence of viewer participation in the completion of an artwork and notions of the dialectical opposition conceptual art set in play with regard to its unremitting institutional critique, amplified by an understanding of Nicolas Bourriaud’s relational aesthetics, amounts to an art that is about art, that is about life. This paradoxical artistic double negative, enlarged by a necessity to reveal the truth of a lived reality, can be seen as the prime mover that drives Moore’s unremitting discourse surrounding contemporary indigenous identity. Whilst it remains an accurate observation that conceptual art refuses to be locked down into a defining set of dialectical artistic parameters and in effect remains in opposition to definition, this constant slippage simply does not denote a comprehensive art historical or philosophical knowledge to unravel what at times can be perceived as an indulgent intellectual puzzle. Contrary to popular belief, conceptual art can in fact be experienced in a fairly straightforward manner. Negating the often-held belief that an intellectual rigor is required in approaching conceptualism – similar to a contemporary artistic landscape – it is an art form that entertains open concepts that are allied with an increasingly inflated artistic perimeter. That being said, it remains an advantageous exercise in briefly plotting conceptualism’s lineage and particular idiosyncrasies before aligning Moore’s artwork to this particularly capricious genre. Emerging in the late 1960s and early 1970s, conceptualism’s pedigree can be retrospectively traced back to Marcel Duchamp’s iconic readymade Fountain 1917. Epitomizing a full frontal assault on convention and good taste the object was refused exhibited status by the Society of Independent Artists. Importantly though, Duchamp’s methodology hinged on the concept of the artist’s choice, the artists intervention in the dematerialisation of the objects original significance and the re-signification firstly by the title and subsequent perspectival placement within a gallery setting, thereby birthing a revitalised conceptual understanding of the original object as a readymade object of art. (3) Linking the idea of the Duchampian readymade object with the fluxus movement – translated from the Latin meaning flow – originating in 1961, conceived of by George Maciunas – American writer, performance artist and composer – and attracting artistic luminaries such as Yoko Ono and Nam June Paik, a precept of fluxus contained in their 1963 manifesto was to ‘purge the world of bourgeois sickness’, pseudo intellectualism, professionalism and commercial culture. Encompassing ephemera and bordering experimental music, performance, concrete poetics, anti-film, the gesture and actions involved in the artists daily life – often-times requiring spectator participation in the completion of the artwork – fluxus remains an art where anything can substitute for an art work and anyone can and will be encouraged to aid in its production. (4) The assumptions that both of these formal artistic movements addressed, provided a rich vein of semiological practicality for artists to reflect upon and whilst privileging a contemporary hindsight, conceptualism does seem a logical continuation given its lineage of previous artistic endeavour. The critical discourse currently surrounding conceptual art positions it as an art form that seamlessly dovetails and intermingles with the disciplines of painting, music, video, sculpture, photography, performance and installation art. This trans-disciplinary approach, birthed by Duchamp, toward a fluxus manifestation: a movement that artistically supplemented a contemporary positioning of conceptualism, is clearly evidenced throughout Moore’s work. Spanning the performance of alter egos, video, spoken word, participatory installation, sound art, appropriated texts, an ironic play on meaning and the readymade artistic object, the choices Moore makes are all imbued with his ongoing thesis surrounding implied and overt racial gestures of discrimination and the unceasingly inherent scripting of Indigenous identity by forces that lay outside of Indigeneity. The affront that this attempted rewriting of Indigenous identity sets in play and the highly structured politics involved in a social participation in the acceptance of this dynamic was clearly evidenced throughout the opening of Chalk it Out at the Queensland Art Gallery. The workshop come participatory performative installation by Moore consisted essentially of a blackboard that the spectator was invited to mark with white chalk. Whilst primarily a fluxus inspired intervention incorporating a purity of relational aesthetics, the finished object powerfully and conceptually cuts to the heart of what it is that Moore continually and accurately articulates: the writing over of a seemingly invisible originating ‘Other’ with the defining text – the established set of attitudes – that lend meaning and context to the destabilization of a sovereign nation and the uninterrupted abject reality caused by the brutal invasion of an unjust imperialist force. The concept of an authentic white Australian memory as one being suffused with an inherent underlying prejudice, creates a palpable tension throughout Moore’s work. This constructed tension existing between the object and the idea, whilst designed to implicate the spectator as performing a defining role in the misdirected arrogance of assimilationist ideology can also be positioned as a doorway being opened to a constructive dialogue. However the inadequacy of the concept underlining the word ‘sorry’, the complicity of silence and the inactivity beyond an initial thought seems to be close at hand. Moore simply excels at conceptually constructing and exploring an ironic fabricated ‘truth’. Whether this ‘truth’ is exposed through the use of seemingly benign nursery rhymes, the language of the racist cliché or the schoolyard taunt as expressly witnessed in the exhibition Depth of Field , or is rationally questioned through the use of religious iconography and scripture as seen in 10 Missions from God , or indeed revealed by the mark of the spectator as exposed by Chalk it Out, it is an irony shaded with bitterness, anger, extreme sarcasm and perhaps most importantly, knowledge: a knowledge that has become artistically astute in the dismantling of the fabricated veneer of a white ‘truth’. Whilst it is commonly debated throughout certain circles that the medium of conceptual art is the idea and as the reasoning runs, the idea of conceptualism is not bound by the spatio-temporality of the physical object. This line of reasoning however negates the many instances seen throughout conceptualism where the physical artistic object clearly insists its integral relationship to the work as a whole. The privileging of the idea alone as the medium and traditionally therefore that which mediates our overall aesthetic appreciation is simply not true. In the case of the readymade, viewed as beginning its life as an artistically insecure object, as soon as that re-contextualized object crosses the threshold of institutional acknowledgment, both the object and its idea accumulate artistic status and can be seen to be operating in tandem in the construction of a medium. A case in point, to highlight the oscillation between the object and idea in formulating aesthetic appreciation is Moore’s Black Dog . Shortlisted for the University of Queensland Art Museum’s Self-Portrait Prize and subsequently acquired by the National Gallery of Australia, Black Dog epitomises the co-joined status of both the object and the idea in formulating a medium. Contemporary audiences – reads the curatorial didactic – are fundamentally prepared – through the advent of varying media – to devour a diversity of articulated forms of a more personal nature. Significantly Moore’s entry consisted of a taxidermied Bull Terrier, colloquially, better known as a Pig Dog. 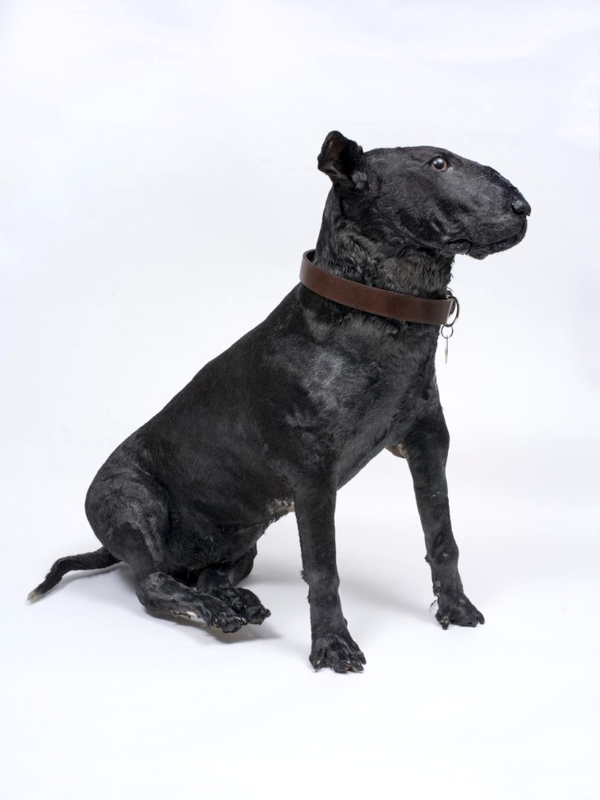 Hand colored black and wearing a tanned collar with the name-tag “Archie” attached, it assumed pride of place sitting on a plinth in the central upstairs gallery with a decidedly perplexed and quizzical look on its face. The initial shock on the sensible ideal of self, when viewing Black Dog in an institutional surround is arguably seen as the object initiating an aesthetic intervention. Following this initial corruption of the sensible, the conceptual ideas attached to the readymade object simply compound this aesthetic experience and together act – via a process of oscillating between the object and the idea – in the elongation of a decidedly metaphysical moment. Of particular importance here is that Black Dog highlights the ways in which conceptual art can effectively operate in a fairly straightforward manner. Seen as a threat and potentially dangerous and whilst surrounding the universality of throwaway racist commentary inflicted on a marginalized people, the “resurrected” self-portrait conceptually implicates the spectator within this dynamic and asks us to consider the validity of an ongoing perpetration of this conspicuous discrimination. The conceptual teasers radiating from Moore’s self portrait are metaphysically far greater than that of the institutional space that houses them. Are far greater than the artistic object. We are conceptually invited to co-habit Moore’s skin and together traverse the 226 years [to date] of the consequence of Indigenous dispossession. The highly refined nature of Moore’s conceptual irony holds a distinct capacity to open onto a liminal space of uncertainty before it’s simply too late to retreat to a perceived space of comfort. This refinement of uncertainty, of meaning, is highlighted in Moore’s most recent exhibition Les Eaux D’Amoore . 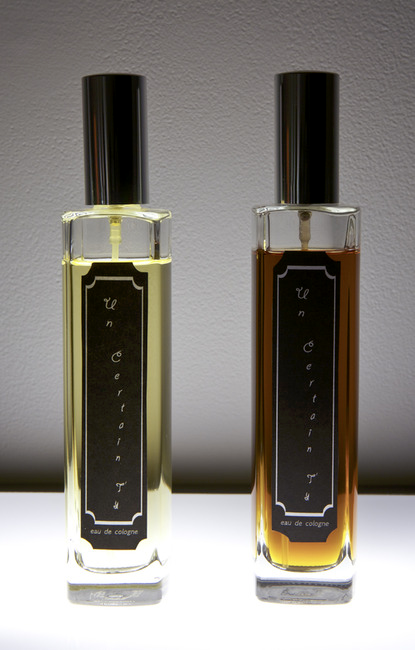 Running from June 13 through to July 12, 2014, at The Commercial Gallery, Redfern, Les Eaux D’Amoore investigates associations between a lived extreme poverty, the unpredictability of familial relations, remorse and a lived sense of self as triggered by an olfactory recall. Working closely with master perfumer Jonathon Midgley of Damask Perfumery, the artist’s series of seven perfume portraits, reminiscent of the anxieties experienced throughout childhood is simply a formidable display of Moore’s continually maturing artistic range. Comparable to an exclusive high-end department store display, the exhibition riffs off a commercial culture, specifically, the up-market clinical aesthetic of stainless steel fixtures, light-boxes, glass, perfumed compounds and fragrance blotter cards, all, traditionally the purview of a deluxe personal adornment marketed by couturiers operating under a presumed superior aesthetic of mystique. This schism of realities becomes Moore’s paradoxical premise that drives an investigation surrounding the reality of a remembered comprehension an empathetic understanding of an otherwise fleeting ethereal ‘Other’. Yet again Moore reaches back to the general principles of fluxus in fine-tuning the inclusive truth of his conceptual practice. The overall structure of Les Eaux D’Amoore invites a participatory performance by the spectator to complete the artwork. 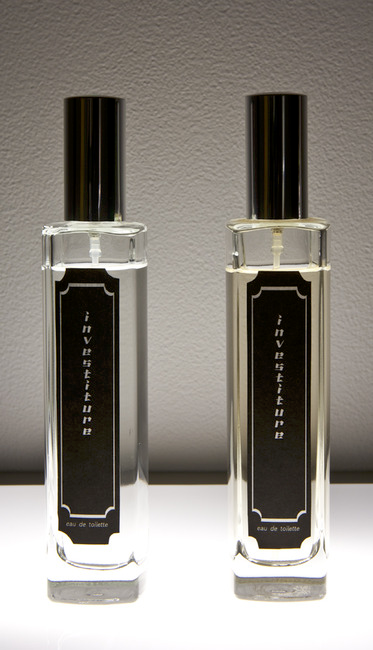 The choice of the spectator revolves around which perfume to wear – ‘Investiture’, ‘Un Certain T’y’, ‘Wulu’, ‘Saphistication’ or ‘Amoore’ – revolves around which scent of Moore’s remembered past to test and adorn themselves with, if any, in an explicit gesture of alignment, in the ultimately unverifiable spirit of empathy, hope, trust and reconciliation. Aligned with the Kamilaroi language group, Archie Moore graduated with a Bachelor of Arts Visual Arts from The Queensland University of Technology in 1998. In 2001 he was the recipient of The Millennial Anne and Gordon Samstag International Arts Award augmenting his Batchelor of Arts with a year of non-degree study at the Academy of Fine Arts Prague. Living and working in Australia Archie has exhibited extensively both throughout Australia and Internationally. 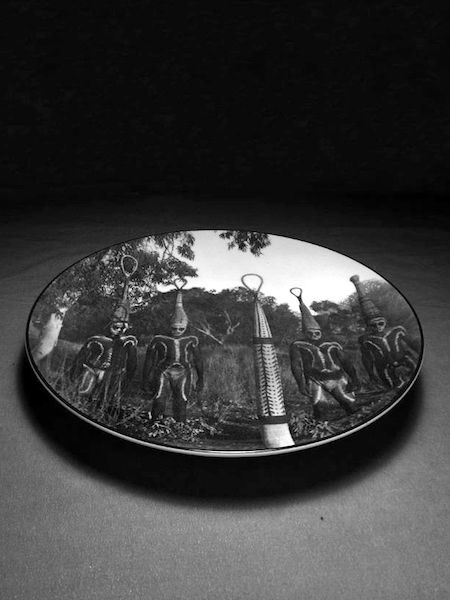 Notably, he has been shortlisted numerous times for the Telstra National Aboriginal and Torres Strait Islander Award and has exhibited in Shanghai, Paris, Belgium and San Francisco. Whilst his works inhabit many private collections of note his art has been acquired into the collections of the Gallery of Modern Art, Brisbane and the National Gallery of Australia. 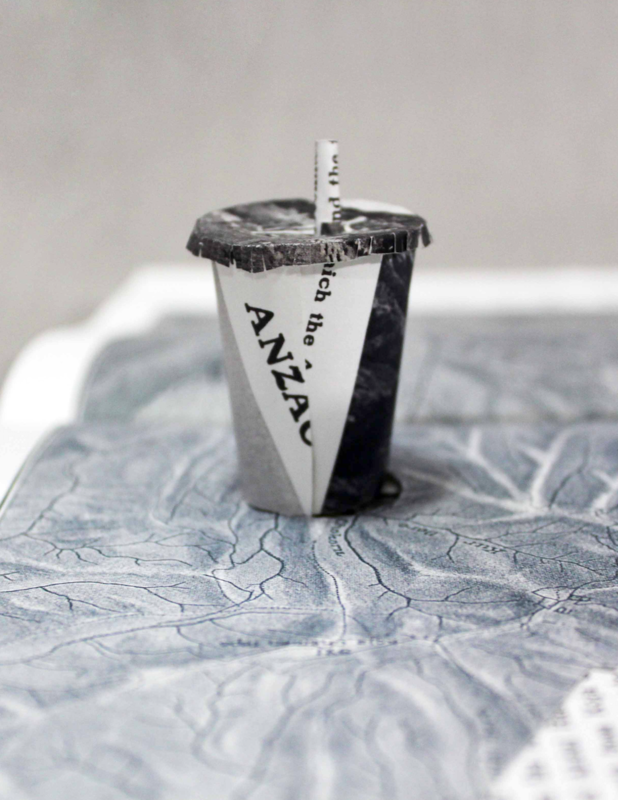 Archie Moore is currently represented by The Commercial Gallery Sydney. Archie Moore: Black Dog. U.Q Self Portrait Prize, 2013. Collection of the NGA, purchased 2014. Image © Carl Warner. Goldie, Peter and Schellekens, Elisabeth. Who’s Afraid of Conceptual Art? Routledge. 2010. Art & Language. Voices Off: Reflections on Conceptual Art. Critical Inquiry, Vol. 33, No. 1 (Autumn 2006), pp. 113-135. The University of Chicago Press. ‘The Richard Mutt Case’, The Blind Man, New York, no 2, May 1917. Corris, Michael. Grove Art Online. Oxford University Press, 2009. 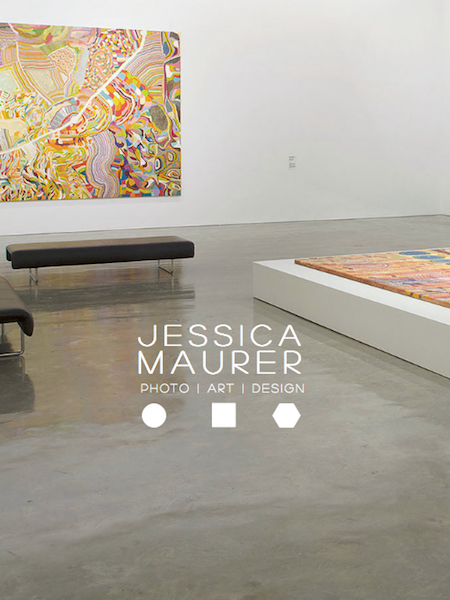 Recently exhibited: Your Grace showing at the TCB Gallery Melbourne. Upcoming shows and an archive of past works are available at Archie Moore. 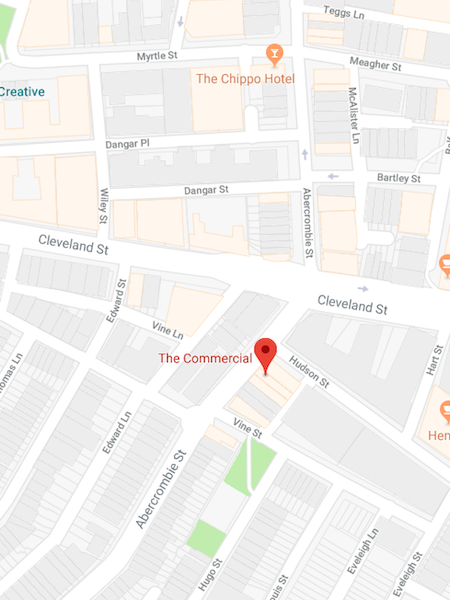 The Commercial Gallery, 148 Abercrombie Street Redfern, PO Box 830 Strawberry Hills, NSW, Australia, 2012. Wednesday – Saturday 11am to 6pm. Courting Blakness and Black Dog 2013 courtesy the artist and © Carl Warner. All images from Les Eaux d’Amoore courtesy and © Jessica Maurer.